Published in the Journal of Alternative Perspectives in the Social Sciences (Volume 5, Issue 2, pp. 271-293) in May 2013. Apologies for the minor typographical errors caused by formatting issues with the journal's editing process. For example, the correct spelling is Bayes' Theorem. Read or download this freely available open access journal article here. It is my contention that some of the methods used by a significant portion of Scholars of Religion – Biblical Scholars – are suspect. The following paper criticises Biblical scholars’ use of the ‘Criteria of Authenticity’ in studying Biblical texts, such as the Gospels. 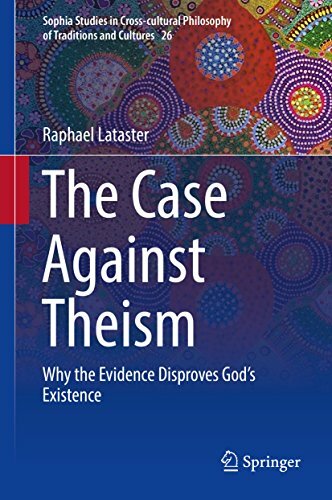 Objections to the Criteria offered by various Biblical scholars, historians and philosophers are considered, and it is concluded that methodologies revolving around the Criteria should be reviewed and replaced. One alternative is Bayesian reasoning, which is revealed to be already in use by historians, and which makes the work of historians, Biblical scholars and academics in other disciplines more transparent. A review of objections to Bayesian methodology reveals them to be largely irrational. It is finally argued that Bayesian reasoning could be useful in all academic disciplines, which essentially must utilise and build on an existing knowledge base, in order to formulate probabilistic hypotheses.